A vibration of spring; fleeting, fragile, so fragile in fact that the slightest thing might end it. Nature is celebrating. It is time for sakura, for the glowing beauty of all things. The week was off to a bad start, though. Four princes of taste, of wisdom, of elegance_ princes who each embodied a certain art de vivre in their own ways_ have gone in the space of three days! What mysterious alignment of the planets might have spelled this obituary? Henri Bonneau, legend of Châteauneuf-du-Pape; Paul Pontallier, director over at Château Margaux ; Jean-Pierre Coffe, junk food slayer as well as writer Jim Harrison, called back by the Grim Reaper mid-poem. We leave for Bordeaux. The weather has turned, slipping back into its delayed winter cloak. Médoc is deserted, silent, hit by intermittent showers and swept by an Eastern wind. These are not ideal conditions for tasting wine; sudden changes in atmospheric pressure mean it tends to close up. 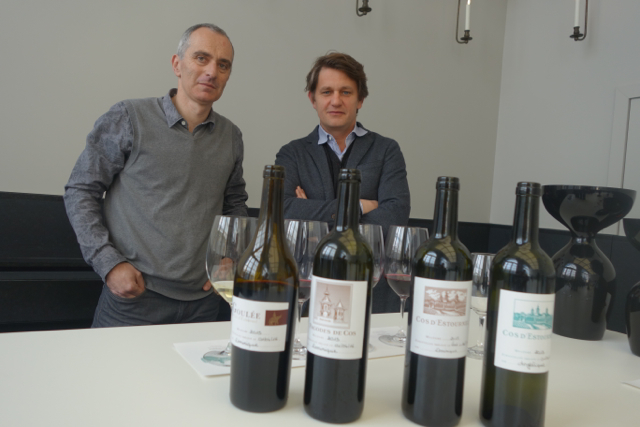 My tasting starts at Château Margaux where I am welcomed by Sébastien Vergne and Aurélien Valence. We silently taste three wines; a red Pavillon, the great wine, and a white Pavillon. 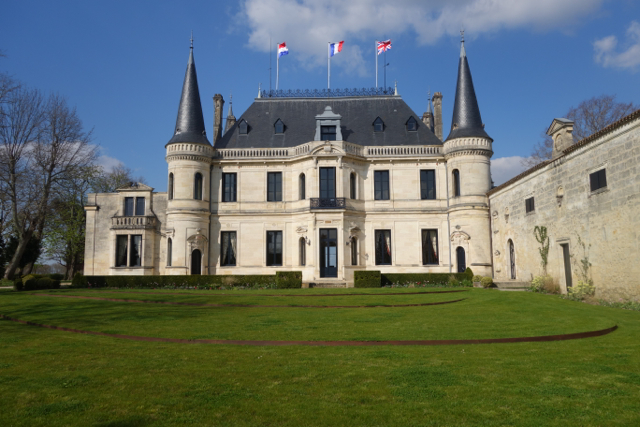 Both Pavillon bottles are already marvelous; but the Château Margaux brings things a step closer to heaven. It is the first (tremendously) great wine of 2015 that I taste and my gut tells me it will be hard to beat! I could cry, actually. Tears of joy and sorrow. 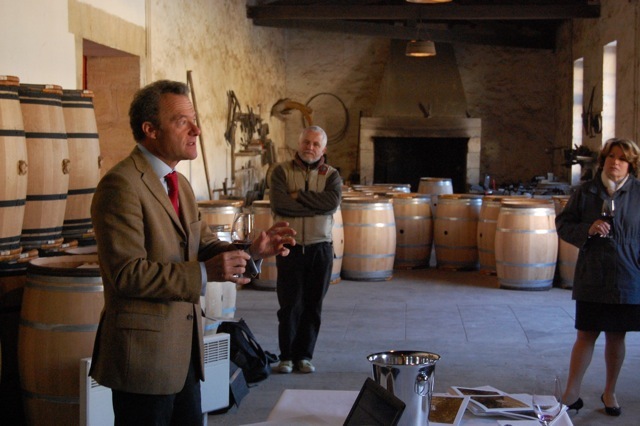 After the tasting, we take a few minutes to remember Paul Pontallier who died two days ago from an aggressive cancer. This is his very last vintage. I can make out the style of this elegant man, a man well-liked by his colleagues and everyone he came in contact with; it is in character for him to leave the ship of which he was both captain and emblem with a wine that is close to perfect! Margaux, Ducru-Beaucaillou, Léoville Las Cases, Calon-Ségur; these are some of the very classy wines I’ve tasted today. I’m heading back home. Tonight, I am dining at Cordeillan-Bages where I will be sampling chef Jean-Luc Rocha’s cuisine; subtle and precise. 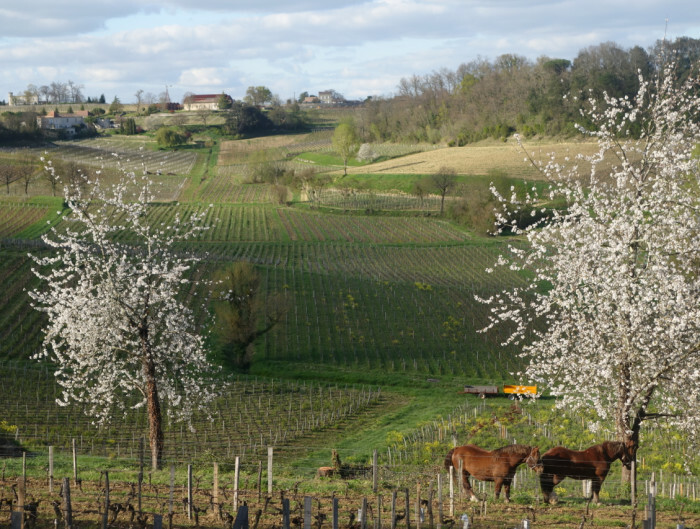 Also starring a Nuits-Saint-Georges from Gouges (Wonderful wines at friendly prices abound on the plentiful and clever wine menu!). Cod, basil-flavoured mushrooms, Black Angus beef, raw and cooked beetroot are on the menu. I even took photos. It feels like I’m eating at a private restaurant, there’s no one in sight. Where are the tourists? Have they been blocked off at the barrière du Médoc? Out of generosity, or perhaps because he sensed I was lonely, Mr. Rocha surprised me with perfectly carved baby squid (i.e. in rosettes) in Romesco sauce. A beautiful close to a beautiful day. Friday 1 April. The day of the roses on the roof. Spring is back. Great! 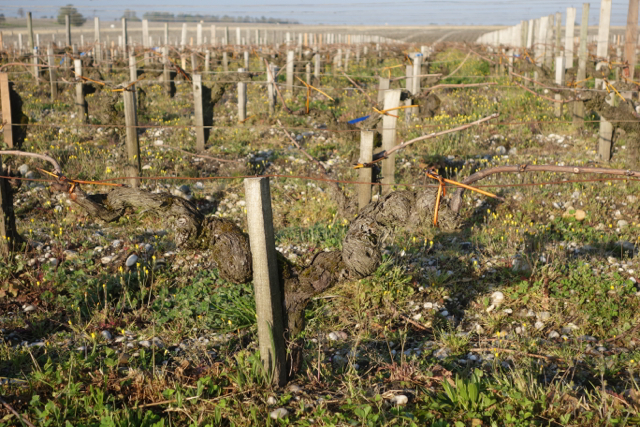 The Médoc is still empty, as is Mouton’s parking lot. It’s hard to imagine the crowds that will flock come Monday! The day starts off at Château Latour. The table is set, draped in Cerulean blue. Nine characters have taken their seats around it. The one on the very right, red-faced and dressed in a bedecked green jacket, is the only one looking at us. He seems to be pointing at one of the dishes at the forefront. Must be roast turkey. Why is there a child trying to catch a frog underneath that person’s seat? We all know that is impossible. The other characters seem preoccupied, or absent, even. Such as the one right opposite us, with his ashen complexion, palms spread open as if offering an oblation, seems to embody resignation. Nobody pays any attention to him. A young woman has stopped to the left of the table, barefoot. She carries a fruit platter. Her legs are long and slender and her buttocks are half bare. She is the only one who seems alive. Or at least the pearly tone of her flesh is. I’ve just sampled the lively 2015 Latour. As I prepare to leave the premises, I stop short in front of this painting. It is by Martial Raysse, celebrated as “the most expensive French artist alive” since his paintings have now become more pricey than those by Soulages. Just like with heavenly wines when the opening price set by your neighbour and rival is higher than yours. What is the cost of all 18m2 of this canvas entitled Le jour des roses sur le toit, a contemporary art gem which now hangs in one of Latour’s rooms? Silence. Do you have any other questions? No, let’s move on. 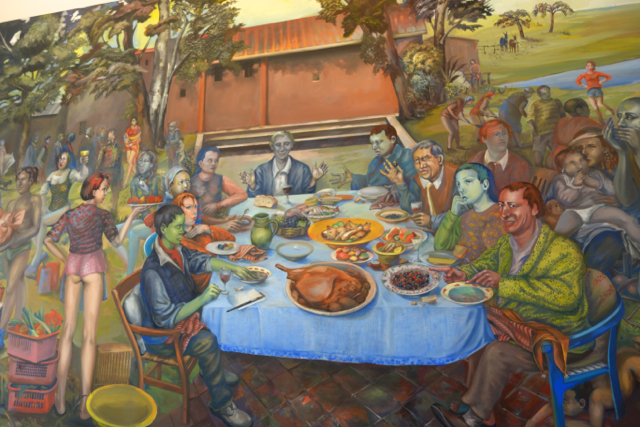 In Mouton, there’s no Last Supper or contemporary production to speak of. Nothing has changed, except perhaps the small garden at the entrance. Levelled. The 2015 Mouton is absolutely flamboyant. Lafite is the exact opposite. It is like a long, silken thread. This wine withholds its mystery. We hold our breath. This road is the source of dreams. It goes past an alleyway where willows are weeping. At the top of a small hill, there’s Zanzibar, with sultans, palaces and fragrances. 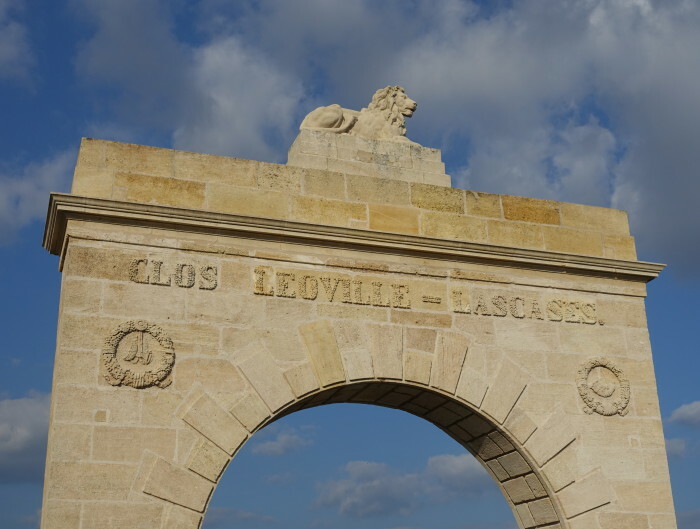 Then, we head back to Pauillac. 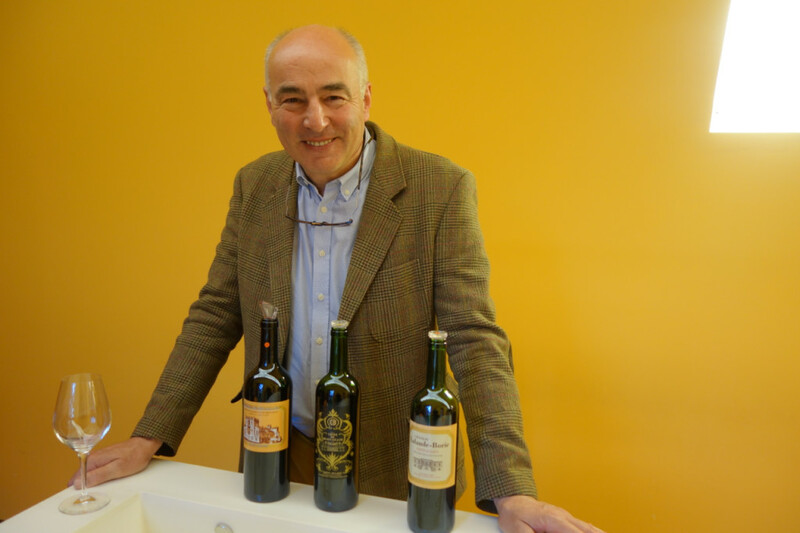 A dazzling triad: Pontet canet, Pichon Baron and Pichon Lalande. Then, Palmer; breathtaking in its playful grace and refinement. Grace. That’s the first word that comes to mind when I think about the vintage. 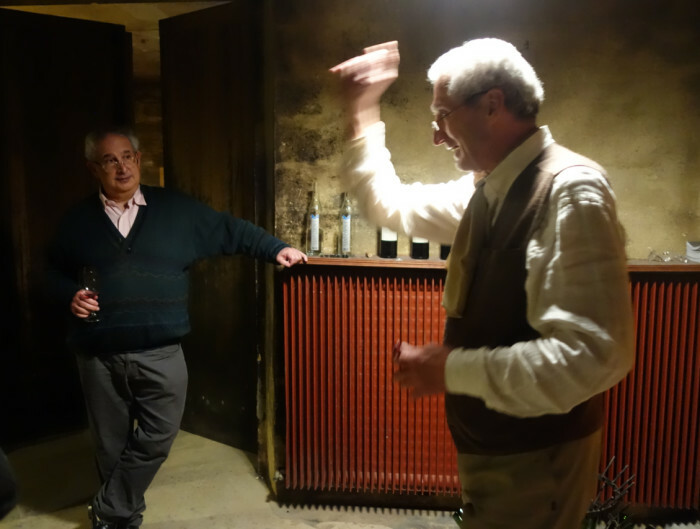 Thomas Duroux, Palmer’s director, talks about Steiner and biodynamics. He says: “We practise biodynamics according to an agricultural model, we have seven cows, 80 sheep, we are going to replant trees, monoculture is a pitfall”. 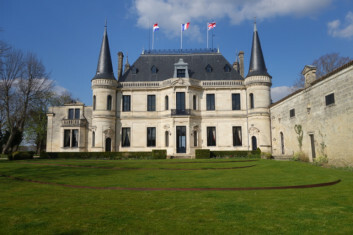 Then, to the rhythm of the fantastic drummer Alexandre Baumard and his quartet, I head to Saint-Emilion and the Right Bank where I am meeting friends for dinner at Logis de Cadenne. There, chef Alexandre Baumard creates wonderful dishes, washed down as it were by a 2012 Insolite by Thierry Germain and a noble and earthy 2009 Château Marseau. It’s a grand finale to this day of the roses on the roof.